Away from the commotion of Miami Beach, Kendall West has been evolving over the last few years. There are many interesting things to do and and see in this area. Whether you are playing in Kendall Indian Hammocks Park or wandering through the Rockdale Pineland Preserve, a toothache is sure to slow you down. You might think you do not have the time to deal with that, but it is vital you have it checked out. Kendall West Florida has many options when it comes to general dentists and specialists. A list of local dentists and specialists has been put together by emergencydentistsusa.com for you. 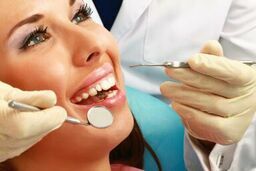 The list includes both general dentists and specialists such as oral surgeons, pediatric specialists, periodontists, orthodontists, and more. Go over the list, choose a dentist, and call and make an appointment. If you are short on time and want more help, call our toll-free dentist finder hotline. A call to our hotline connects you with an operator there to assist you in finding just the right dentist or specialist to help during your dental emergency.We are trained to help you through the process and can even schedule your first appointment for you after you select a dentist. We suggest you arrive 20 minutes early to your appointment to fill out your necessary paperwork. Bring along your photo ID, insurance card, list of medications, and any payment method. Kendall West has many dental options available to you while you are visiting. You can choose from any dentist or specialist such as an orthodontist, periodontist, oral surgeon, and so on. A patient that has a toothache generally sees their general dentist first to be certain the problem s not serious. They can determine if you need to be referred out to a specialist who can treat you further. Description: SouthDental West Kendall is dedicated to maintaining your oral health and comfort. There are a wide range of services available from cosmetic, orthodontic, implants, periodontics, pediatric, bleaching, and more. There are options when it comes to paying for your care such as dental financing. Description: West Kendall Dental Associates office is both passionate and unique. The facilities offer spa like treatments and other wellness treatments. They offer a full array of services including dental implants, orthodontics, periodontics, cosmetic dentistry, and invisalign. The clinic accepts all major insurances. Description: Towncare Dental of London Square offers high quality care for all their patients. They offer an array of services from general dentistry, cosmetic, implants, gum treatments, and more. Most dental insurance is accepted in this office and they offer DentRite Discount Plan. The team offers flexible financing arrangements to make affording dental treatment more feasible. Dental pain that lasts over an hour is an indication that you could have a serious dental problem. Any tooth pain that last that long or longer needs to be seen as soon as possible by a dentist or specialist to prevent further complications. If the pain you are feeling is a result of an accident, go to the ER to be checked for further injuries. Before going to see any dentist, check their credentials and license by visiting the Florida Dental Association website. From there simply input the dentist’s name and you can verify the information.